The British Newspaper Archive (BNA) has added The Portadown News to its online holding. So far, the editions ready for searching span 1859-1921. The addition of later editions, up to 1956, will follow in due course. This paper has tweaked its title with some regularity, having been launched as The Portadown Weekly News and County Armagh Advertiser and quickly changed to The Portadown News, and County Armagh Advertiser and subsequently (1872-1890) to the The Portadown & Lurgan News, and County Armagh Advertiser. In 1891 it became The Portadown News. Just to throw in some muddle during 1888-1903, it was also known as The Portadown & Lurgan News, and Tenant Farmers' Gazette. It is the second paper from the area for researchers with local ancestors to explore. The Portadown Times is already in the archive. 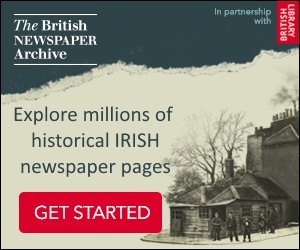 The addition of this title means there are now 45 historical newspapers from Northern Ireland in the online BNA. They are shared with FindMyPast's top-level subscription packages.